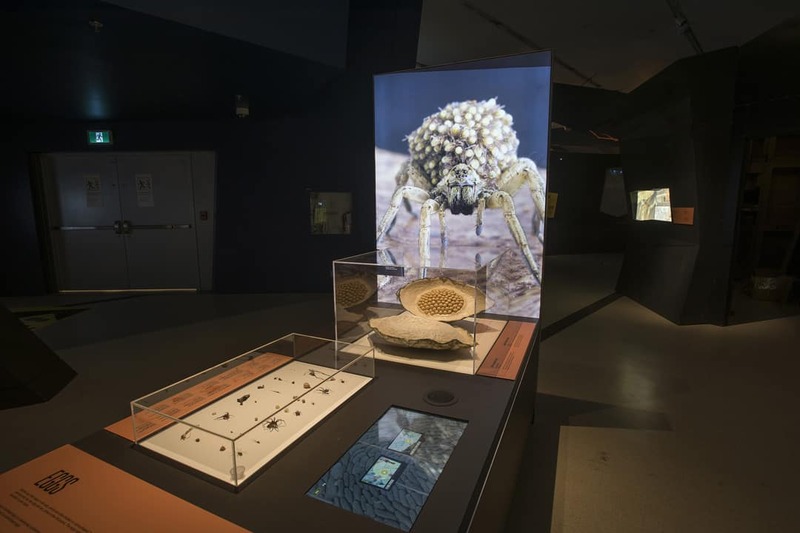 The Royal Ontario Museum (ROM) opened the Spiders: Fear & Fascination exhibit earlier this year, developed by the Australian Museum and toured by Flying Fish. The exhibit challenges arachnophobes to face their fear by trying to understand spiders, as most fears originate from a lack of information. “We thought spiders were a particularly interesting subject because there are a lot of misconceptions about spiders, so there is sort of a fear and fascination about them and we thought that sort of angle would really resonate with the public,” said Doug Currie, Associate Professor in the Department of Ecology and Evolutionary Biology at U of T and Senior Curator of Entomology at the ROM. While most museum exhibits lack a living element, Spiders features 18 different types of living spiders, including the brown recluse and black widow, spiders that are commonly mistaken for each other. A common misconception about spiders is that they are insects, but they are in fact arachnids. Insects are made up of three sections and have six legs, while arachnids have eight legs and are made of two sections. movement, while their front eyes can pick up detail within a short range. The exhibit also has an Interactive Spider Lab — a small laboratory within the exhibit — and two on-site technicians known as “Spider Wranglers” who demonstrate venom milking. The term ‘venom milking’ or ‘venom extraction’ elicits a repulsive image. But the process was much more clinical than I had imagined. Mateus Pepinelli, one of the spider wranglers and a postdoctoral fellow in the Department of Ecology and Evolutionary Biology at U of T, filled the spider’s tank with carbon dioxide to put it to sleep. In this demonstration, Pepinelli extracted venom from a Huntsman spider. Once the spider fell asleep, Pepinelli carried it to a foam board with tools on the side. The setup was reminiscent of one you might find in an operating room at a hospital. Once Pepinelli confirmed that the spider was asleep, he put the spider on its back and used pins to hold the spider down and away from its fangs. The pins do not puncture the spider, and were placed around the spider’s legs in a position that was convenient for Pepinelli. Pepinelli then used an electrical device dipped in saline to trigger the spider to release its venom. At the same time, he placed a 0.5 mL microcentrifuge tube, enough to hold a drop of water, under the spider’s fangs to collect its venom. The entire process was shown on a screen outside the Spider Lab. Some visitors watched in awe, others in horror. Pepinelli extracted a drop of venom into the tube and moved the spider back to its habitat, a separate tank, before it woke up. The venom, clear in color, looks innocuous, but it is chock-full of compounds, some of which have medicinal value. The venom extracted during the demonstrations is freeze-dried and sent to scientists that study spider venom for biomedical research. The Interactive Spider Lab is one of several interactive features in the exhibit. Video projections also cast digital renditions of spiders at the entrance of the exhibit floor, and scaled-up models brought small spiders to life. In addition, the ROM added its own elements to the Australian Museum’s exhibit. A Golden Spider Silk Cape is on display for the first time in North America, the world’s largest textile made exclusively from spider silk. The cape is made from the silk of 1.2 million female golden orb weaver spiders from Madagascar and took around three years to complete. Spiders are also popular in culture and in art: a life-size first edition of a Spider-Man comic book and Indigenous textiles featuring spiders are also on display throughout the exhibit. 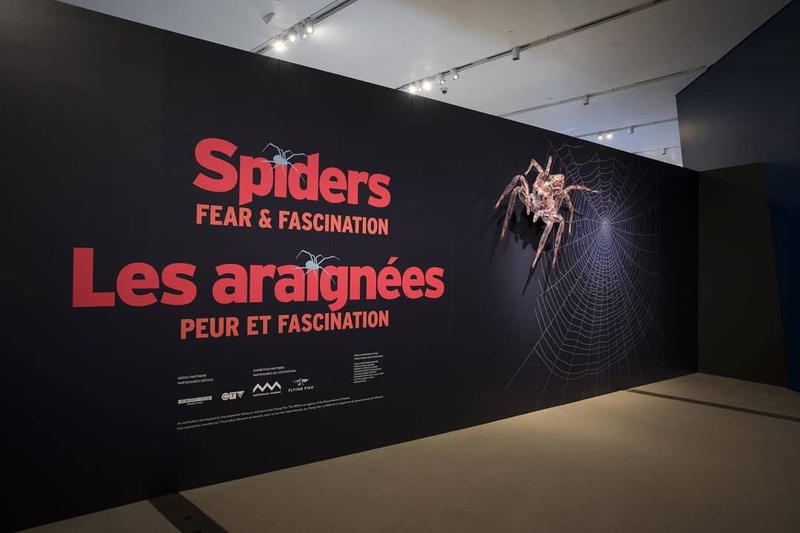 Spiders: Fear & Fascination is on display until January 6 in the ROM’s Garfield Weston Exhibition Hall. Editor’s Note (October 29): A previous version of this article incorrectly stated that Doug Currie is an Assistant Professor. Doug Currie is an Associate Professor in the Department of Ecology and Evolutionary Biology.